SIZE: OUTSIDE DIMENSIONS 35 inches wide, 43 inches high. 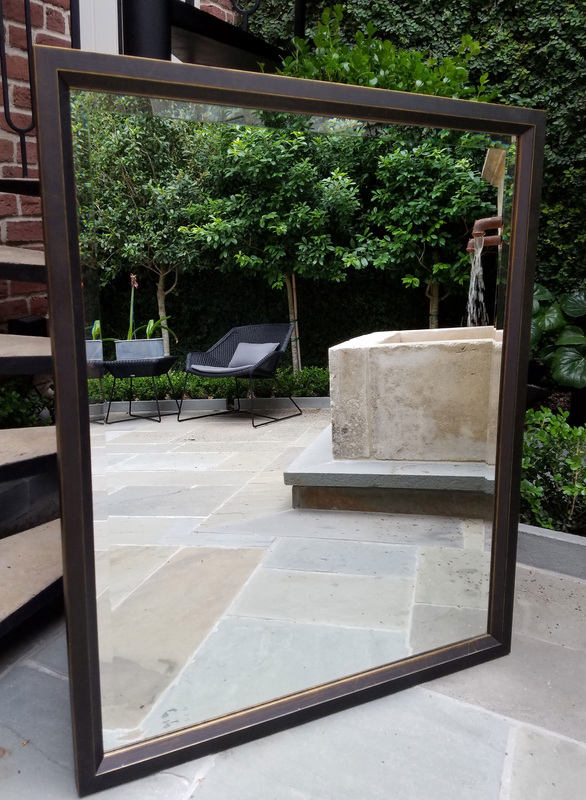 INSIDE MIRROR DIMENSIONS 31 1/2 inches wide, 39 1/2 inches high. Room, Vanity, Living Room, Bedroom, Dining Room, Hotel, Restaurant or Buzzy Bar. Effortlessly stylish, Bold, Dramatic, Truly Beautiful. 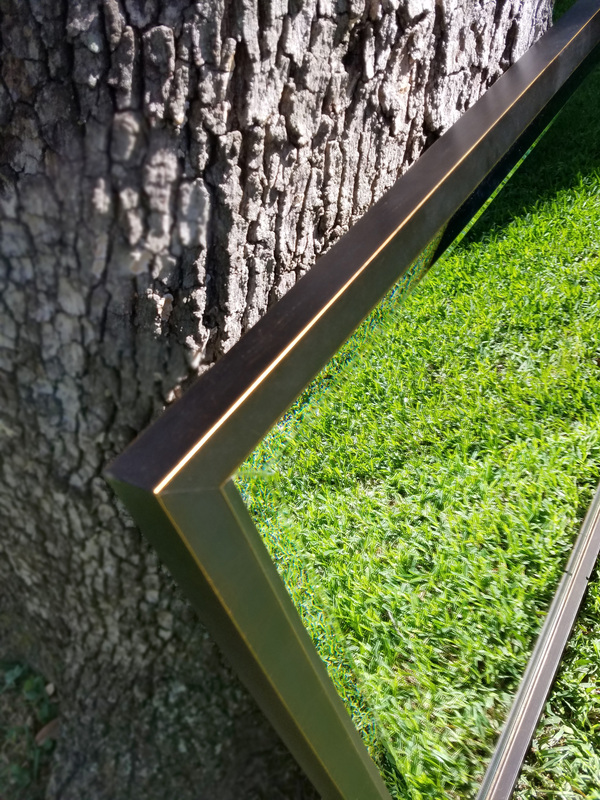 35" x 43"
D-rings attached so mirrors can be hung horizontally or vertically. 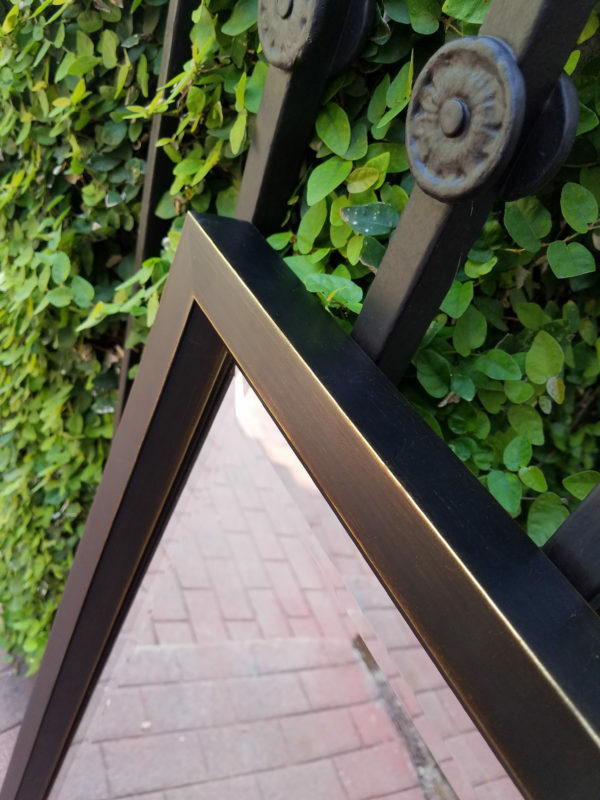 Handcrafted in Italy, the signature frame has multiple lines of gold. 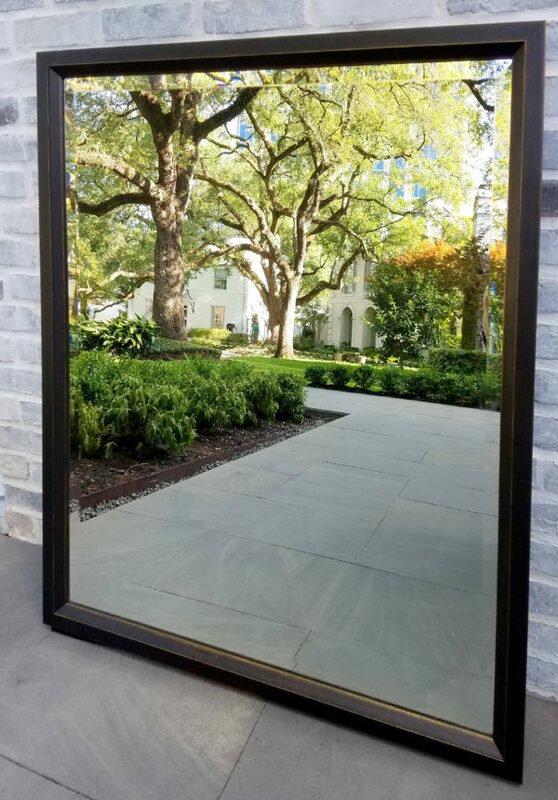 Mirrors are made in Houston by old-school artists who still turn out frames with classic connoisseurship, fabricating with Stanley mitre vises instead of staple guns and shoddy assembly-line techniques. 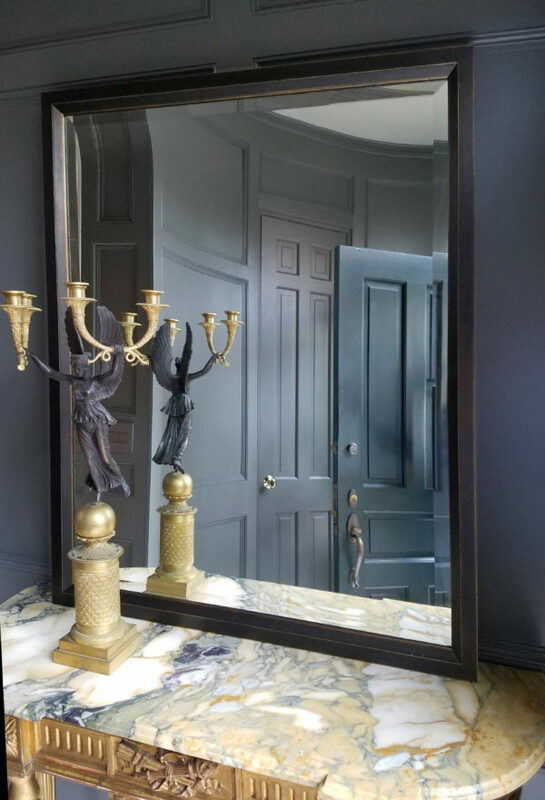 The manufacturer suggests that the mirror be hung by a professional hanger. 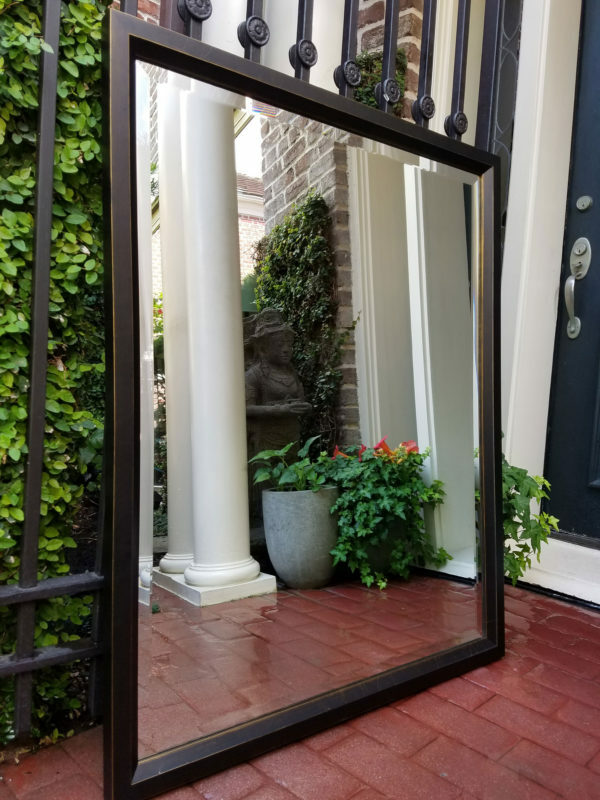 Tru Vue, the finest beveled glass made in America, has been installed for superior clarity, and you will immediately see the difference between Tru Vue glass and everything else. 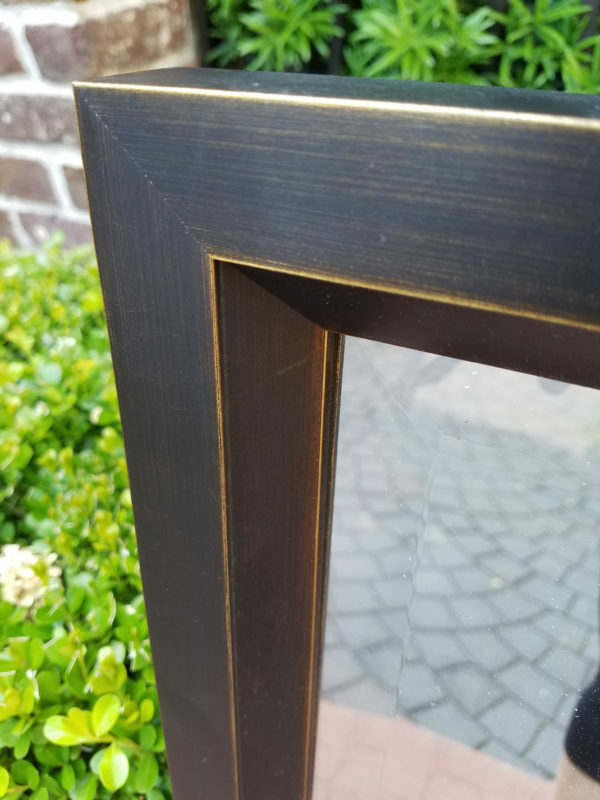 The back of the frame has an artful dust cover.